The Oasis guitarist was pushed and injured while performing at the V festival in Toronto, Canada last week, forcing the Mancunian band to cancel concerts in London, Ontario, and New York City. Noel Gallagher was playing the band’s song (What’s the Story?) Morning Glory, when Daniel Simpson, 47, rushed the stage and shoved him from behind. According to the official Oasis website, the 41-year-old rocker “fell heavily onto his monitor speakers” and was taken to hospital after the incident. Daniel Simpson was later detained in police custody and has been charged with assault. Oasis’ new album Dig Out Your Soul, the band’s seventh, is released on October 12th. Meanwhile, the rocker has leaped to the defence of controversial MTV Video Music Award host Russel Brand as the rocker accused his American critics of having double standards. 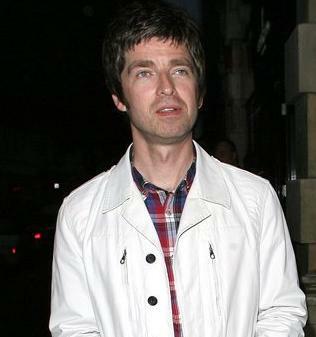 Noel Gallagher, who is a regular guest on Brand’s BBC radio show, insisted that the British comedian was wasted on his critics.